The effects of a flood are devastating. After a flood no one should have to worry about whether or not they’ll be able to replace their belongings. Instead, they should be able to focus on rebuilding their lives. Landeche Insurance Agency in Metairie, Louisiana, can help you get a flood insurance quote so you can protect your home during a flood. Everyone in Louisiana needs flood insurance, regardless of your flood zone. In August 2016, for example, 48,000 residents of East Baton Rouge, Livingston, St. Helena, and Tangipahoa parishes had flood insurance policies. As a result of the great flood on August 12, around 28,500 policy holders filed flood claims. Interestingly, 20% of those flood claims came from flood zones, B, C, and X. These zones have always been less likely to flood, but as we’ve seen, they flooded. It can, and does, flood anywhere in the United States. That is why flood is one of the most important insurances to have. Some people may think that when they experience a disaster such as a flood, the government will take care of them. Keep in mind, however, flood insurance and disaster assistance are not the same. For residents to get disaster assistance, the president must declare a disaster in the affected area. However, flood insurance companies will pay claims even if the president doesn’t declare a disaster. Another difference is that while common forms of disaster assistance like the SBA loan require you to pay back the assistance you received with interest, flood insurance doesn’t have a payback requirement. 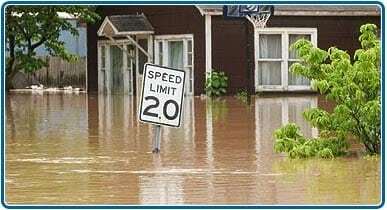 Unlike homeowners insurance, flood cannot be cancelled or non-renewed due to the number of flood claims. If you are a homeowner and received disaster assistance, flood insurance must be carried on the home for the life of the building. If you chose not to carry flood insurance, you may become ineligible for future disaster assistance. For renters, flood insurance covers the contents of your home as long as you live in the building. If you move, you are not required to purchase flood, but it is highly recommended that you do. Create an inventory. Make sure you take pictures and samples of damaged contents if you remove them for the property. The claims adjuster needs to see the damaged contents. List and photograph the areas of structural damage to show the claims adjuster. Complete and submit the proof of loss within 60 days. In the case where many homes were flooded, this time period may get extended. Click here for more information on claims. Click here for information on what a flood policy covers.